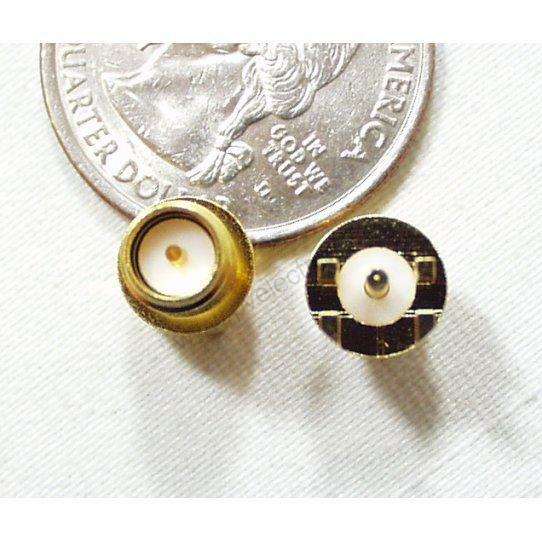 Description: PCB edge mount Reverse Polarized - SMA RF connector. Perfect for prototyping with our RF ICs. This is a standard edge connector. The thickness between pins is 0.063" so that it can slide sideways onto a PCB. See the mechanical drawing to create your footprint. The FCC is moving towards Part 15 compliance. All this means is that all the SMA RF connectors are changing gender. 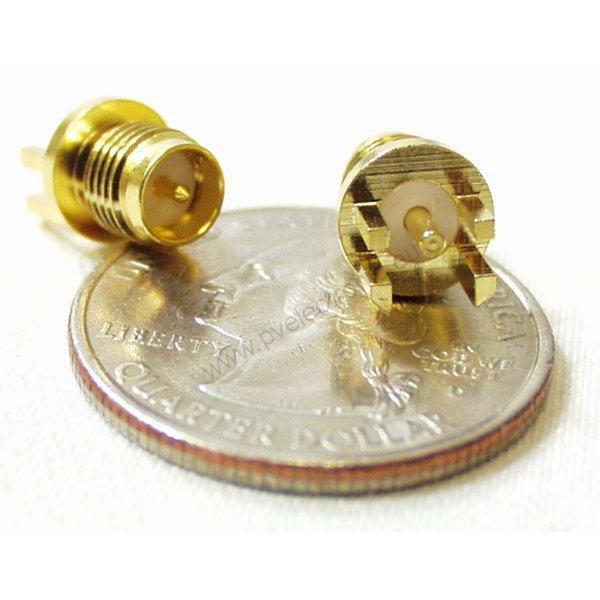 Really annoying for those of us who need to mate an antenna to an RF device. The FCC gender change was instituted to prevent home users from damaging RF equipment (think home WiFi) when screwing on an antenna. If all antennas are female, there is no way to damage the center connector. However, you have to be very sure now what kind of SMA connector you need. Supported Antennae: Any antenna that follows the reverse polarized SMA convention. These are the most common 2.4GHz antennas you'll find.